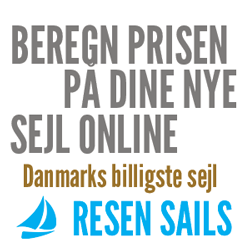 Priser på sejl til OC 43, OC 45, Ocean 62, Ocean Cruiser, Oceanic 38, Oceanic 46, Oceanis 311, Oceanis 350, Oceanis 361, Oceanis 390, Oceanis 430, Oceanis Clipper 311, Oceanis Clipper 323, Oceanis Clipper 331, Oceanis Clipper 343, Oceanis Clipper 361, Oceanis Clipper 373, Oceanis Clipper 411, Oday 19, Oday 20, Oday 22, Oday 222, Oday 23-1, Oday 25, Oday 26, Oday 27, Oday 28, Oday 30, Oday 30-2, Oday 31, Oday 32, Oday 34, Oday 35, Oday 37, Oday 39, Oday 40, Odder 22, Odin, Odin 720, Odin 820, Odyssey 22, Odyssey 30 C&C, OE 29, OE 32, OE 33, OE 36, OE 38 Crown, Ohlson 22, Ohlson 25, Ohlson 27, Ohlson 28, Ohlson 29, Ohlson 38, Ohlson 41, Ohlson 8:8, Ohlsonn 22, OK-Jolle, Oksø 32, OL 960, Olsen 31, Olsen 34, Olsen 35, Olsen 370, Olsen 38, Olsen 42, Olsen 50, Olsen Twin, Olson 25, Olson 29, Olson 30, Olson 34, Olson 911 S, Omega 10Ds, Omega 28, Omega 30, Omega 34, Omega 36, Omega 42, Omega 46, ONE OFF, Ontario 28, Ontario 32, Onyx, Open 5.7, Open 7.5, Optima 101, Optima 85, Optima 92, Opty 136, Opus 34, Opus 35, Overseas 40, Oyster 37 m.f. sejlbåde. Resen Sails.